Construction safety training is sometimes left up to the safety manager, who either takes over the job of training the construction team or designates other personnel such as a site safety coordinator or supervisor to do the training if the manager is too busy with construction projects and other important matters of business. Does your construction team require safety training? Construction safety training is sometimes left up to the safety manager, who either takes over the job of training the construction team or designates other personnel such as a site safety coordinator or supervisor to do the training if the manager is too busy with construction projects and other important matters of business. While it certainly is feasible to have one of your own to be in charge of construction safety training, sometimes the lack of personnel, the lack of experience in safety training, and the lack of the knowledge, skills, and abilities necessary to perform such a task makes everything a little more complicated. For example, whoever is in charge of training will have to spend considerable time planning and preparing for the actual safety training, particularly if they’ve never done it before. If the safety manager has the required knowledge and experience, but lacks the time to do it, then he or she will need to spend time anyway training the designated trainer. If this is the case for your construction team, why don’t you consider hiring a certified safety trainer to come in and do the training for you? Even if you have someone on staff available to train your construction team, hiring out is a worthwhile option to consider. Certified safety trainers, as the name would suggest, are trained in and knowledgeable of all matters related to safety (in general) and construction safety (in particular), so you would know that your construction workers would be receiving accurate, thorough, and top-notch information. In addition, construction safety trainers are trained and experienced in effective safety training methods and also possess an understanding of how adult learners learn, which essentially means if you choose a good trainer, that is that you can be assured your construction team members will not only receive the information, but actually remember it and become involved in the safety-training process. Yes, hiring a certified safety trainer will cost you money up front, but it could also save you a lot of money in the long run. Because of the high-quality safety training your construction team will receive, you are helping to prevent future accidents that could put out some of your workers as well as damage equipment that would have to be replaced. In addition, you’ll be saving a lot of time, seeing as you won’t have to prepare to teach safety training yourself, or spend time training a potential trainer who has never done this before. Finally, it’s simply so much more convenient to hire out than to attempt to undertake the task of training your construction team yourself. Perhaps you don’t personally know of any local construction safety trainers who might be available to come and train your team. So where do you find one? One idea is to ask around and see if anyone you know, or other construction companies, have hired out certified safety trainers, and whom they might recommend. You can also check your local business listings, but you might have more luck searching online. 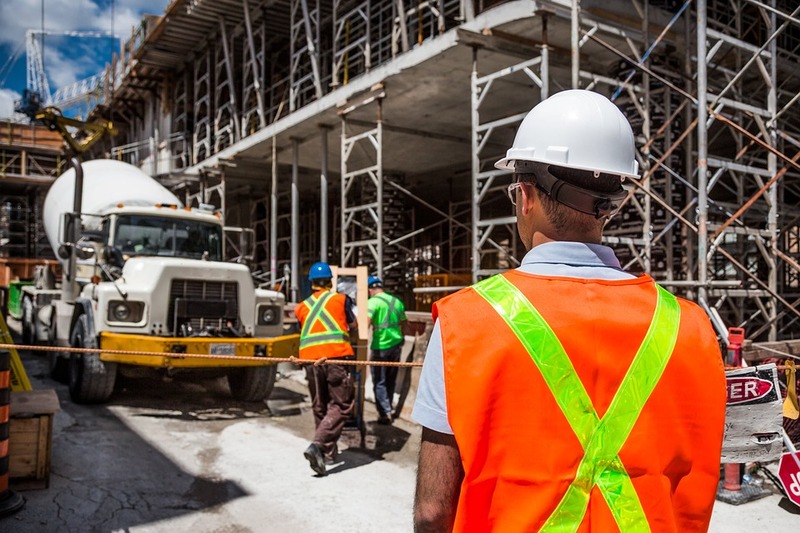 Some construction safety trainers travel to different locations throughout the U.S. to train different construction companies in proper safety procedures. When considering a number of seemingly qualified certified construction safety trainers, make sure they have the required education, certifications, and other necessary training; that they are experienced in their job; and that they have references to back them up. Compare their rates, but don’t necessarily go with the lowest (assuming it’s the best deal) or the highest (assuming you’re getting the best quality). Check out each candidate carefully. When researching construction safety manuals, make sure you hire a qualified trainer to keep your team safe.